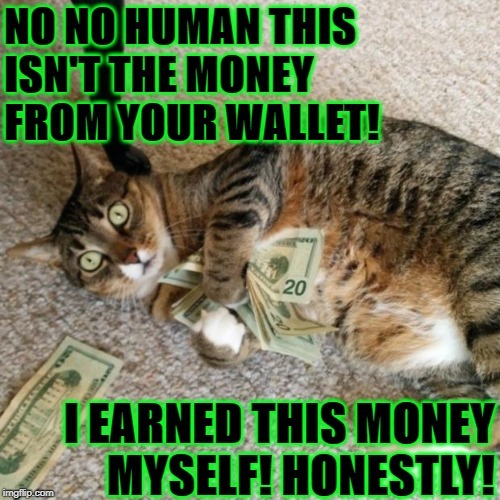 NO NO HUMAN THIS ISN'T THE MONEY FROM YOUR WALLET! I EARNED THIS MONEY MYSELF! HONESTLY!